Changeable Hawk Eagles, Honey Buzzards, Pardise Flycatchers, Pittas, Thrushes, Peafowl Bla ck Berg, Sloth Beer, Chital, Barking Dear, Chinkara, Mouse dear, Chousingha, Langoes, Rhesus Monkey, Wolf, Civet, Jackal Wild Boarand lots more throughout the reserve Specialty of this Park lies in its unforgettable scenic beauty with large back waters of “Tava” & “Denva River as well as virgin beauty of River Sonbhadra & Naagdwari. Tourist interested in wild life, nature lovers and Jungle trackers will love this place for its very different peaceful atmosphere. Jungle Safari Just like any other national Parks of Madhya Pradesh, Jungle Safari system of Satpura National Park is similar as per rules of Madhya Pradesh Forest Department. Here 4-wheel driven vehicles (Petrol/Diesel) are used to Park-Safari. Here no vehicle of more that 5-years old is allowed to go for Park-Safari. Park entrance charges and guide fee is similar to any other national Park of Madhya Pradesh State. Close to Denva river, Forest Department have its counter, from where one can do Jungle Safari booking and obtain entrance ticket. Using that entrance ticket, cross the Denva river and from other end, take jeep for Park Safari. 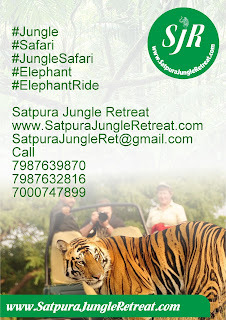 In Satpura National Park, one can do walking Safari also. Just like other national Park of Madhya Pradesh, Safari entrance tickets are almost similar. Jeep fee varies with the duration of Safari. Their is 03 slabs of Jeep charge. 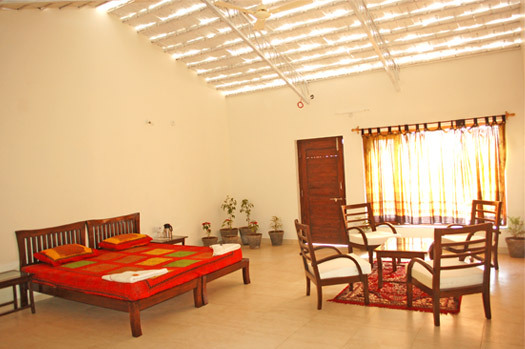 Satpura National Park is nurtured in the Satpura Range of Hoshangabad district in Madhya Pradesh. With inclusion of Pachmarhi & Bori Sanctuaries, Satpura Tiger Reserve it covers 1427 km2. It came into light by British Officer Captain J. Forsyth when he was in action against Indian freedom fighter during 1857. Captain Forsyth belongs to Bengal Cavalary Regiment and was in search of famous freedom fighter Tantya Tope. While following the information, he accidently reached the highlands of Central India and find the place suitable for military base. Satpura National Park is nurtured and cradled in the Satpura Range passes through Central India. It has number of Narrow Gorges, valleys and an unspoiled Highland eco-system. Like other National Parks of Madhya Pradesh, Satpura Tiger Reserve also remains closed during rainy season for visitors. Satpura National Park in the Satpura Range of Hoshangabad district in Madhya Pradesh is open for visitors from 16th October to 30th June. 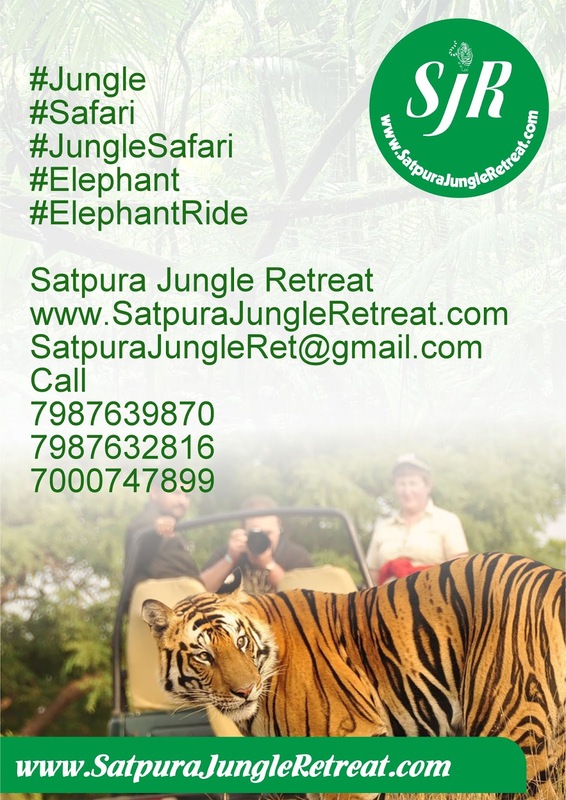 During this time wildlife’s can enjoy the Safari rides and boating in Satpura National Park. It is closed for visitor from 01st July till 15th October. Along with adjoining Pachmarhi & Bori Sanctuaries, Satpura National Park it covers 1420 KMs, otherwise it covers an area of 524 KMs. Unspoiled Highland eco-system of Satpura National Park is unique in nature and was established in 1980. Denwa River is a lifeline river of Satpura National Park. This river originates from south-eastern part of the Hoshangabad district in Madhya Pradesh State and flows from east to west direction before joining the Tawa river at south of Rainpur. Location of Denwa river is Latitude: 22.746128 & Longitude: 77.719356. At the confluence of Tawa & Denwa river, Tawa dam has been constructed. River offers number of activities to visitors. While boating on Denwa River one can enjoy the scenic beauty of Satpura National Park with bird-watching and sighting of marsh crocodiles. In order to do Satpura National Park Safari, tourists have to cross the river through motorboats. All these rivers are tributaries of holy Narmada river known as lifeline of Central India. It is a ever-green river assuring availability of water to wildlife nestling in this forest.